Sports Direct today blamed the Government for forcing it to pay “unreasonably legal wages” to its employees, which has resulted in a 25% fall in pre-tax profits. The company’s chairman, Keith Hellawell, was left furious, saying that he was forced to pay their ‘even the bloody stock technician apprentices’ £3.40 per hour in accordance with the Government’s national minimum wage. Earlier this year, Sports Direct’s warehouses were likened to “gulags” and “labour camps” by its own workers, after owner Mike Ashley was forced to face MPs about the company’s ‘unique working environments’. 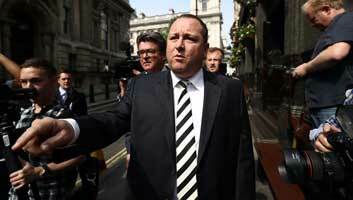 It is thought that up to 95% of Sports Direct staff are labelled as “stock technician apprentices” on its HMRC documentation.